The Selection changed America Singer’s life in ways she never could have imagined. 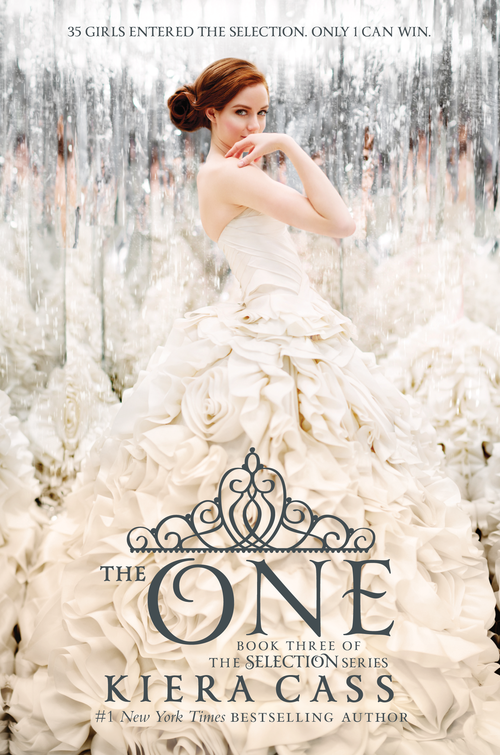 Since she entered the competition to become the next princess of Iléa, America has struggled with her feelings for her first love, Aspen—and her growing attraction to Prince Maxon. Now she’s made her choice…and she’s prepared to fight for the future she wants. I read all of ‘The Selection’ books in three days but work life has taken over, forcing me to abandon my blog. I have miss it! First of all throughout this book I was still shipping Maxon and America hard. Just like the other two books, this book was easy and enjoyable to read. America’s strong and stubborn inner monologue once again compelled me to keep reading and relate to her, it also created a comedic element to the writing. This book answered the questions that The Selection triggered…’who are these rebels?’, ‘what do they want?’ etc every character within this series such as Maxon, Aspen and America evolved throughout this book which make love them even more. This book got serious quick…America made up her mind, people died, America was injured, the power of the King was a dominant feature and the selection itself got intense. This book was also emotional! One of my favorite characters died within this book which absolutely broke me, however I understand that it allowed the story to swiftly move on. One death I was really happy that it happened because the character angered me throughout the book, which made me want to jump into the book and slap them. I do not want to riddle this review with spoilers so if you have reads this book please comment below because I would absolutely love to discuss this book further.